Latvia is the youngest of the Baltic brothers. He has curly pale blonde hair and violet eyes. In the anime adaptation, his hair was changed to a dark shade of blonde, and his eyes were changed to light blue. Latvia has lived a very hard life; first he lived in Germany’s house, then in Poland and Lithuania’s, and finally at Russia’s house. Even though he split from Russia eventually, he has not been able to completely cut ties with him yet and is still very reliant on him. Russia usually picks on Latvia, and presses down on his head with his hand. Latvia says that he would be 10 centimeters taller if Russia didn’t do that. 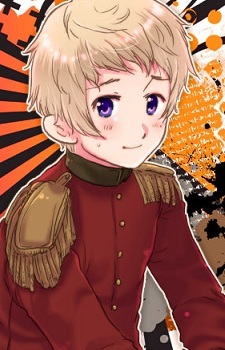 Sealand and Latvia seem to be good friends and get along well, not only because they are close in physical age, but also because they are both small nations that people usually don’t take seriously. He has a big heart and his personality is tolerant, but he is quiet, shy, very withdrawn, and is somewhat of a crybaby. His hobbies include reading romance novels and poetry, and drinking. Despite his physical appearance, he states that he can drink about 40 cups of alcohol at a time. He unintentionally speaks in a blunt manner, which usually gets him in trouble (especially with Russia). Latvia also has the habit of getting sucked into things against his will.